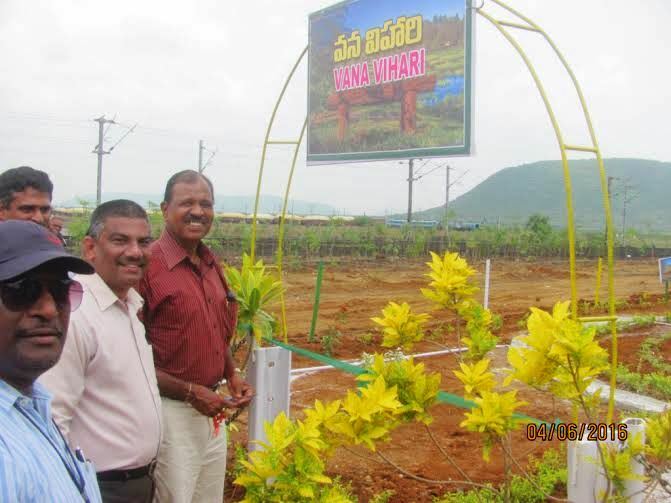 The port planted more than 10,000 saplings during the environmental week in & around Gangavaram Port. A task force has been set up to achieve a target of 60,000 sapling plantation by December 2016 under Green belt programme and Green Visakha programme. Gangavaram Port Limited, India’s deepest and multi-purpose port today celebrated the World Environment Day by initiating a massive Green belt development program at the port premises to create awareness and express their commitment towards the environmental sustainability. Nearly 500 people along with the employees of Gangavaram Port Limited participated in the celebrations and pledged to maintain clean & green surroundings. Apart from sapling plantation at the port premises Gangavaram Port Senior Officials and Employee voluntarily participated in the “Green Rally” event organized by AP Pollution Control Board, Visakhapatnam. The event was flagged at Rama Krishna Beach and was attended by people from all walks of life . The Week long Environment Day celebrations which started from 31st May 2016 consisted of a massive green drive of planting more than 10,000 saplings, cleaning & housekeeping of the port premises. Under the Green belt development program GPL, during this year, plans to plant 60,000 saplings in the port premises and neighborhood area also. This year theme for World Environment day 2016 “Go Wild for Life..Fight against the illegal trade in wildlife” was incorporated in the weeklong celebrations through special themed posters stressing upon the need to stop poaching and illegal trade of wildlife.